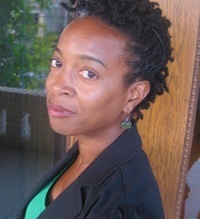 Carnegie Mellon English professor Yona Harvey has received a Pittsburgh Foundation Individual Artist grant. Harvey will use the grant to attend a one-month writers retreat in France this summer. At the retreat, Harvey will work on her latest project: a collection of linked personal essays exploring sibling birth order and religious upbringing. Harvey hopes to have a draft of the book finished when she returns from the retreat in August. In addition to the Pittsburgh Foundation grant, Harvey also recently received a Pittsburgh Flight School Fellowship. The Pittsburgh Flight School offers professional guidance to local artists. “It’s been really good, because my personal story is that I spend a lot of time working on my day job, teaching and managing other people, and not enough time managing myself and my own art, so Flight School really helps me and the other fellows managing the time we need,” Harvey said.